At this point in the postseason, the wrestlers are so close to qualifying for the PIAA Championships in Hershey that they can almost taste the chocolate. Well, better not mention anything fattening around weight-cutting wrestlers. All the hard work, sweat and cutting weight could pay off for the 19 area Northwest Regional Class 3A Tournament qualifiers and the rest of the field this weekend at the AAHS FIeldhouse. The tournament, which includes the top four from District 6, District 10, and the combined District 4-9 and the top two from District 8, begins at 5:30 p.m. today at the Fieldhouse, and a second round will follow at about 8:15. The tournament resumes at 10 Saturday morning. The semifinals are at 12:30, and the finals and consolation finals are set for 6:15 p.m.
Six wrestlers from the Mirror coverage area enter the tournament as District 6 champions, including three from Altoona in Matt Sarbo (106), Parker McClellan (220) and Nate Simmers (285). Philipsburg-Osceola’s 1-2 punch of Chase Chapman (120) and Hunter Weitoish (126) won last week, as did Hollidaysburg’s Mason McCready (182). The Mounties, who only qualified three to the regional last season, will have 10 qualifiers returning to the Fieldhouse after one of the program’s best district tournaments in years. P-O also had a runner-up in Brandon Anderson (195), and the team finished in third place. It was a heck of a way to say goodbye to Class 3A for the Mounties, who will compete at the Class 2A level next season. 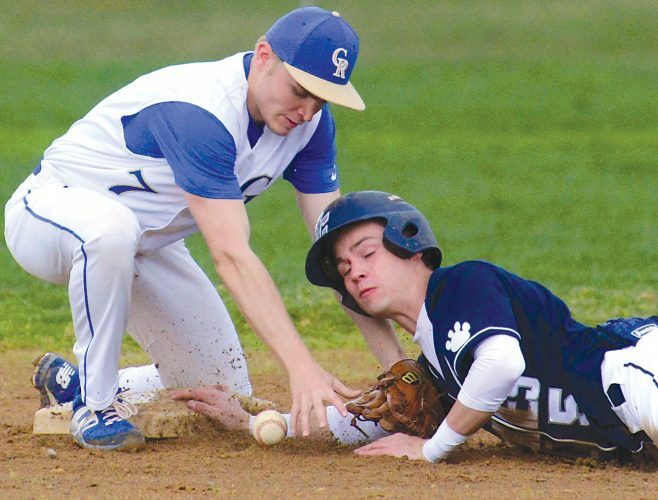 “It was a great performance,” Philipsburg-Osceola coach Brad Pataky said. “The guys wrestled really well. We took advantage of the opportunities when we could. Each and every one of our guys had the mentality of going out and looking for bonus points whenever they could. None of the 19 area wrestlers are returning as regional champs, but McClellan and Hollidaysburg’s Nathan Swartz (138) are returning runners-up. McClellan (26-4), who moved up to 220 late in the season, is ranked seventh by PA Power Wrestling. He could meet up with Selinsgrove’s 23-0 and sixth-ranked Nate Schon in the finals. Swartz (24-6) will be looking for a fourth postseason finals bout against Bald Eagle Area’s second-ranked Seth Koleno (31-0). Swartz beat Koleno in last year’s District 6 finals, but Swartz won 10-3 in last year’s regional finals. Koleno had pinned Swartz twice during the regular season, but he eked out a 9-7 win over the Golden Tiger senior in last week’s district finals. To get to the final, though, Swartz will have to go through McDowell’s returning third-placer and returning state placer Leno Ciotti, who is ranked seventh, in the quarterfinals tonight. McCready suffered two one-point losses, 3-2, to McDowell’s Jake Paulson in the semifinals, and 2-1 to Central Mountain’s Caleb Turner in the consolation finals to finish fourth in last year’s tournament – one win shy of qualifying for states. This year, he’s in the opposite bracket from Cathedral Prep’s third-ranked Luigi Yates (37-5). McCready (23-5) will likely have to go through Shikellamy’s District 4-9 champion Josh Krieger (27-5) in the semifinals. Notes: Cathedral Prep won last year’s team title by 22 points over DuBois. Altoona finished fifth. … Ten champions return, including Clearfield’s Luke McGonigal and State College’s Cole Urbas, ranked first and second, respectively, by PA Power Wrestling at 195.